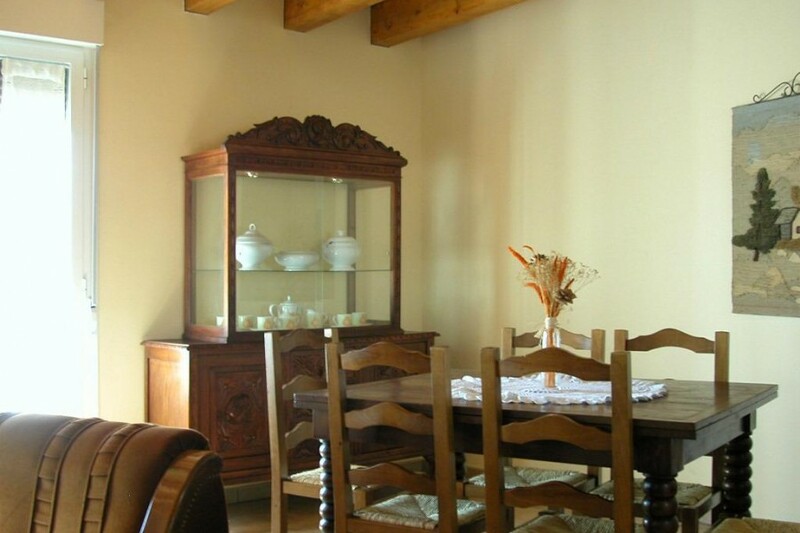 Welcome to the cottage house Juandecay, it parts from an old house that is from 1561 and it harbours in its interior yard, a raised granary which is denominated Property of Cultural Interest by the institution of Prince of Viana. 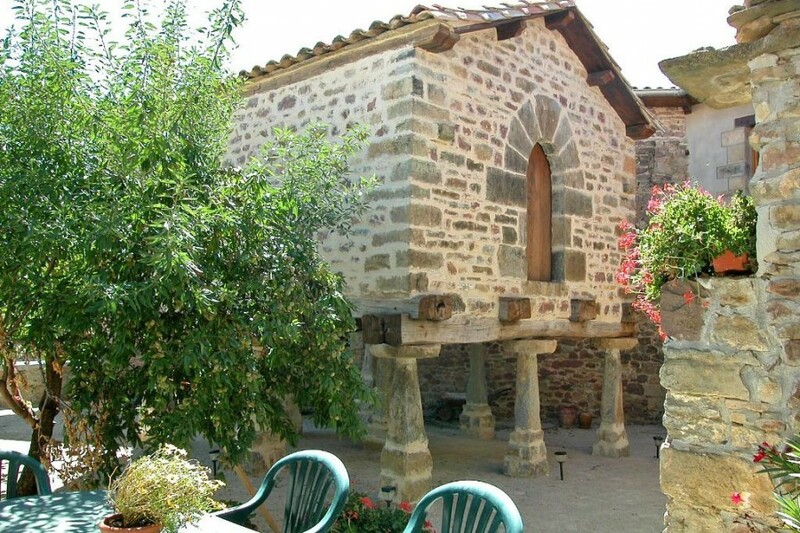 The house is located in Ecay, a small and cosy village of 80 inhabitants where you could enjoy its maximum tranquillity. It is surrounded by cereal fields and mountains next to meadow where the horses graze. If you wish it, you could visit mural pictures of Gothic traditions of its church, or relax walking along the bank of the river Irati. In Ecay we have a bar-restaurant and the rest of the services you will find 1, 5 km far away in Aoiz (health centre, supermarket, petrol station…). The house is full renting, with a capacity of 6+2. 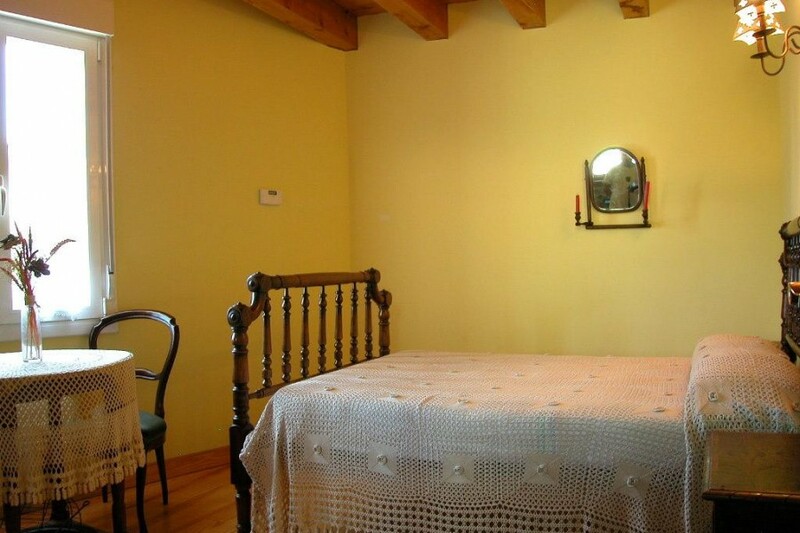 On the ground floor you will find a hallway decorated with old farming tools and that they drive us to a walkway that keeps its old stone pavement, to a yard equipped with barbecue and garden furniture and to the inside of the house that has a full bathroom with hydromassage shower. 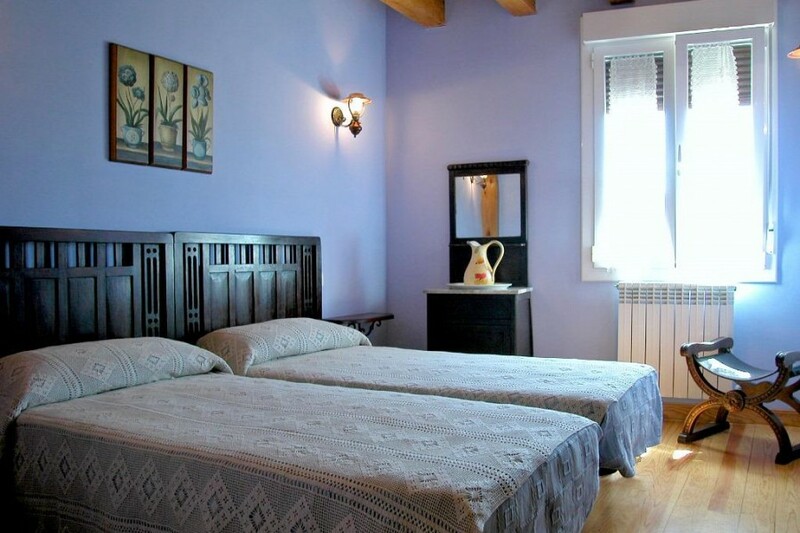 The first floor has a bathroom with bat, 3 comfortable bedrooms: 1 with marital bed and if it would be necessary , a cot, and other two bedrooms with 2 single beds each ones and you can add an extra bed. 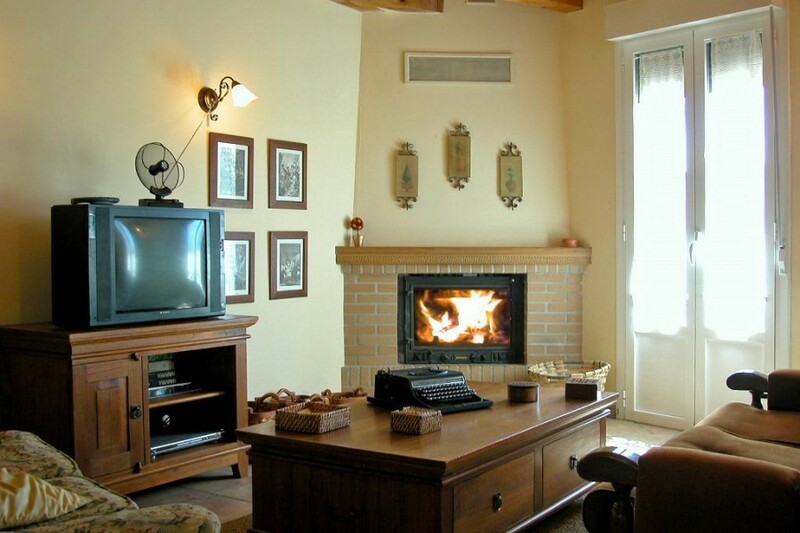 A great living-dining room-kitchen with fireplace (free firewood), resides all the small and big electrical appliances and the necessary home furniture; as well as a small library and information about Navarre. 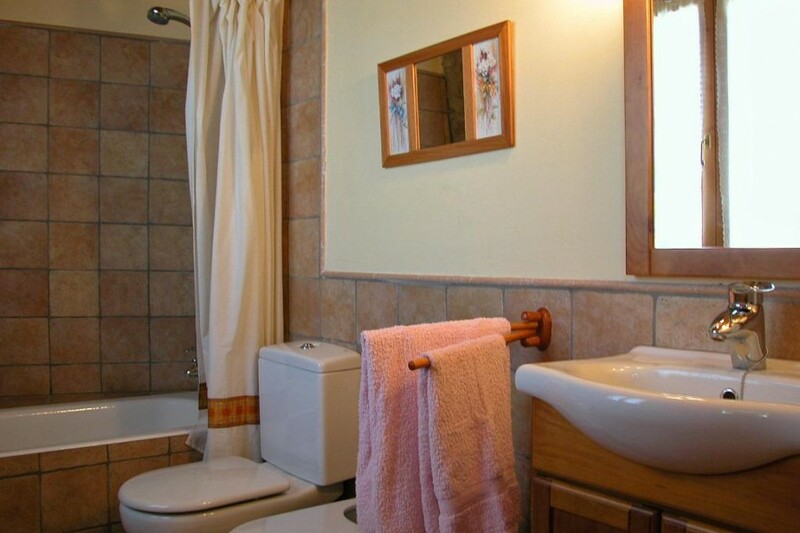 It has diesel oil central heating which thermostat is in one of the bedrooms so each customer can adjust it depending on its necessities and it also has a wide parking. The game rooms is in a small attached house and where you could play ping pong, darts, play station 3 and different table games. 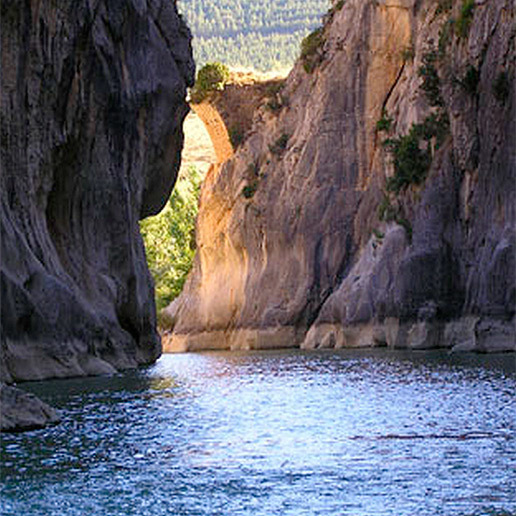 Take the motorway to the Pyrenees, A 21, direction to Huesca. 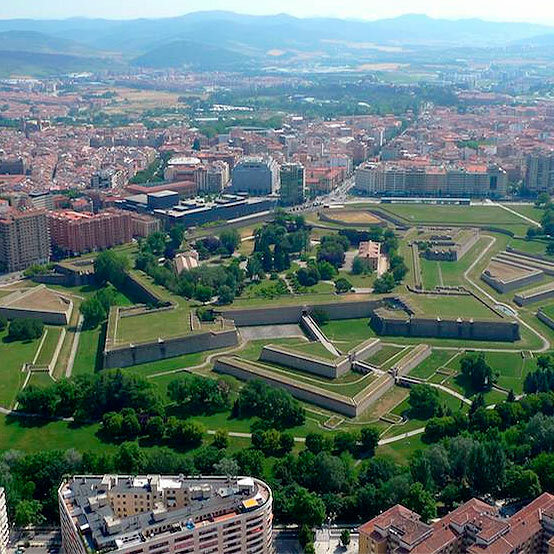 The exit 16, the second one after going out from Pamplona, it will take you to Urroz and there direction to Aoiz. Once you get to the village of Ekai, leaving the junction Aserradero, take the first crossing to the right just before the first overpass. Ecay - San Sebastián: 108 km of distance. 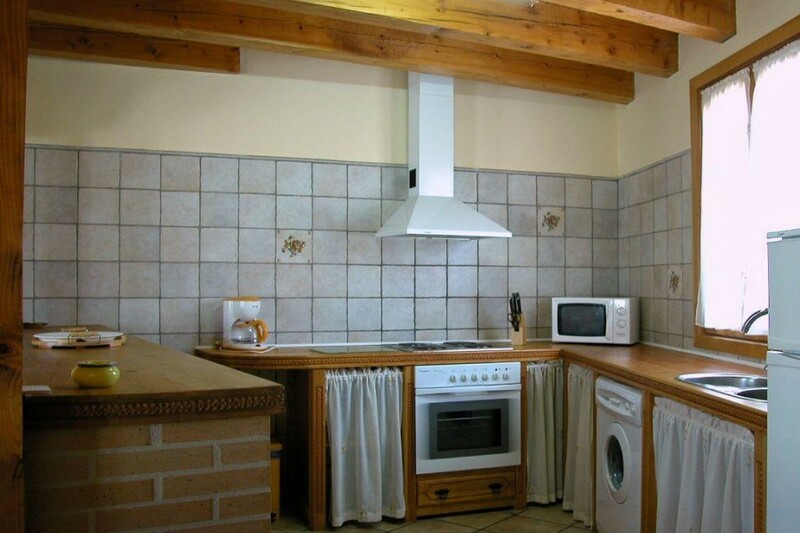 Ecay - Pamplona - Lizaso ( Forest Orgui) : 22 + 20 km of distance. Ecay - Ujué - Olite - Senda Viva (Arguedas) – Monestery of the Olive - Bardenas. : 61 + 19 + 39 + 40 km of distance. Ecay - Foz de Lumbier - Sanguesa - Sos del Rey Católico: 20 + 15 + 12 km of distance. 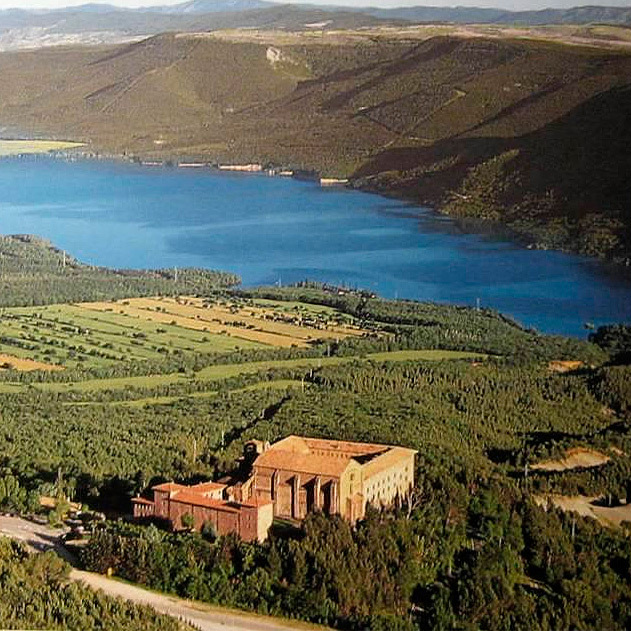 Ecay - Leire - Reservoir Yesa - Javier: 40 + 5 + 5.5 km of distance. Ecay - Foz de Arbayún - Ochagavía (interpretation centre) - Belagua - Roncal (interpretation centre): 29 + 36 + 24 + 7.5 km of distance. Ecay – Factory of Orbaiceta – Forest Irati: 44 + 6 km of distance. Ecay - Burguete - Roncesvalles - Espinal - Sorogain : 30 + 2.5 + 6.5 + 10 km of distance. 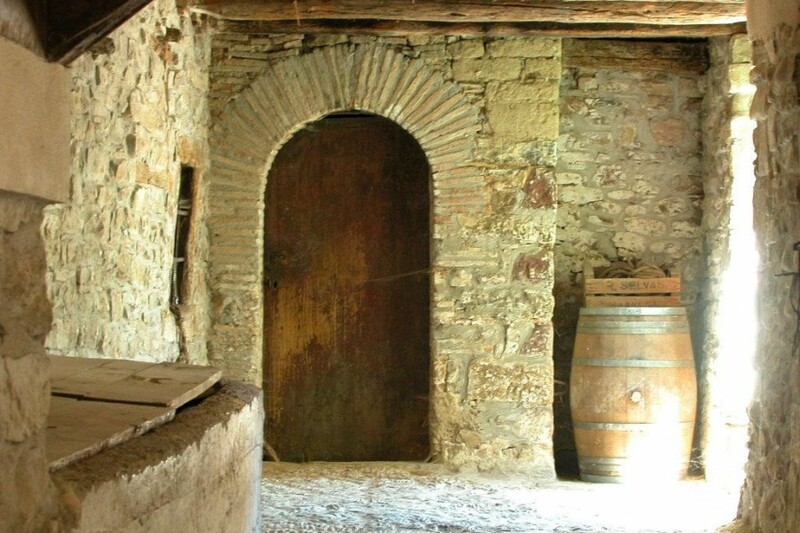 Ecay - Puente la Reina - Estella - Monastery Irantzu – Birth of Urederra: 42 + 22 + 11 km of distance. 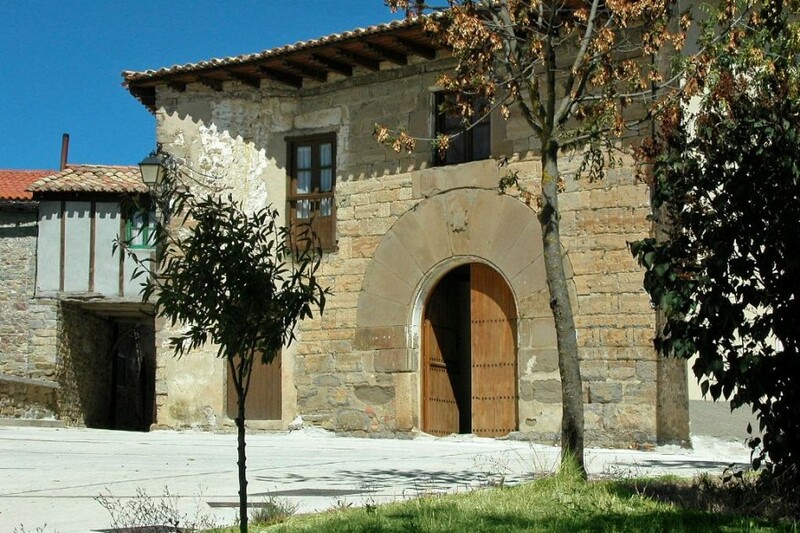 Ecay - Eugui - Quinto Real - Irurita – Manor of Bertiz: 41 + 26 + 11 km of distance. Relaxing circuits in different spas and possibility of have a mud bath in the thermal water of Tiermes. Rehabilitated granary in the garden.